Out of print since 1968, this is a unique guidebook from the late, great architectural writer, Ian Nairn. 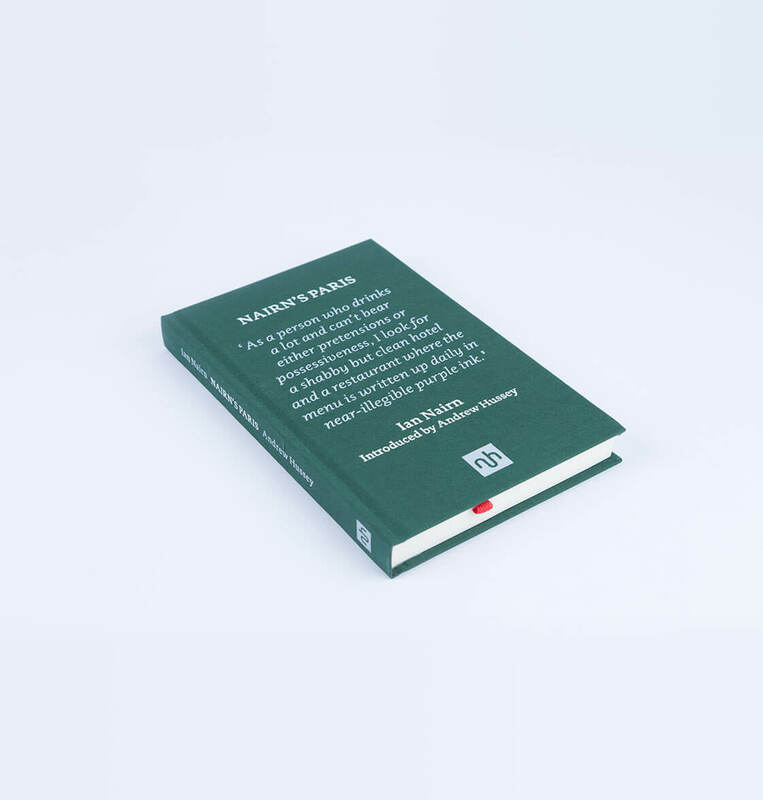 Illustrated with the author’s black and white snaps of the city, Nairn gives his readers an idiosyncratic and unpretentious portrait of the ‘collective masterpiece’ that is Paris. Nairn’s emergence as a maverick, inspiring figure in mid twentieth century architectural writing (and broadcasting) was sudden, and his claim on the public’s attention all too brief . . . On a good day he could turn phrases like an angel and gave his readers, listeners and viewers insights others could only dream of. Mere architectural description could not suffice for that land of joke-oak and real rhododendron; what it demands is an acute sense of place and the gift to render that sense. Nairn possessed both. 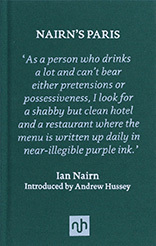 Following on from the bestselling Nairn’s Towns, cult figure Ian Nairn celebrates the city of Paris in his unique and eccentric way. Out of print since 1968, this is a unique guidebook from the late, great architectural writer, Ian Nairn. Illustrated with the author’s black and white snaps of the city, Nairn gives his readers an idiosyncratic and unpretentious portrait of the ‘collective masterpiece’ that is Paris. This guidebook shows his eye for detail – whether it is architectural stonework on an archway, shadows cast by a railing, or an empty chair in a Paris park. 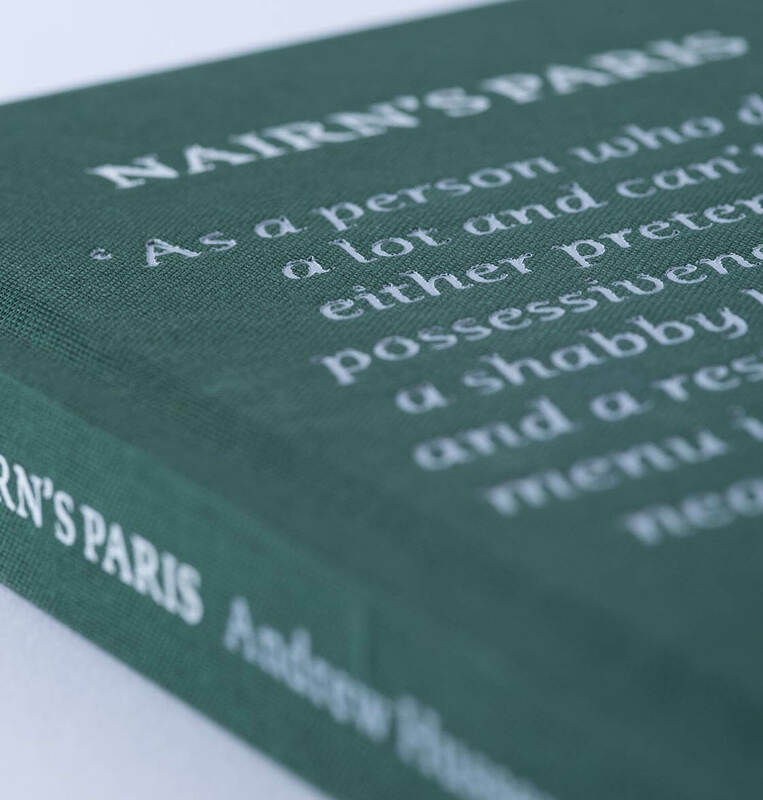 Nairn encourages the reader to find their own Paris beneath the glossy surface – more than a guidebook, this is an inimitable journey of discovery in finding the hidden delights of the city, in the first hardback edition ever published. View basket “Nairn’s Paris” has been added to your basket.